Damages from Hail. Hail doesn’t happen too often in the NJ area, so it’s easy to know if hail has damaged your home. You’ll probably see small white pellets scattered on the ground, or you may have heard the hail when it hit your roof. On the roof, however, damage is slightly less obvious. There are three main things to look out for: bruising, cracking and granules missing from asphalt. With bruising, run your hand over the shingle to feel for small dents in the surface. If you feel one, press down onto it to see if it gives. If so, the shingle may have been permanently damaged. Cracking is easier to spot because you can see cracks running through the shingle. Missing granules of the shingle should be clear enough to see as well. There will likely be smooth or bare spots that differ in color from undamaged shingles. Bad Wind Damage. Most NJ roofs are designed to withstand the pressures of normal winds, although years of exposure to the elements can eventually compromise the roof. However, damaging winds brought in by severe storms, such as those from hurricanes, can create stress points on the roof that weaken over time. Such areas may become susceptible to water penetration, causing the roof to leak and structurally deteriorate. The first thing to do is inspect shingles along the edges to see if they’ve been misshapen in any way by wind, as most roof damage from wind typically starts along the edge. Also look in the corners to see if any materials have become loose. Missing shingles or pieces of shingles are surefire signs the roof has been damaged. Any obvious damage should be addressed with Passaic County roof repair services as soon as possible. Tree Damage. Having a lot of trees around your home can have it’s advantages because strategically placed trees can protect the roof with shade and preventing heat damage and extending the roof’s lifespan. But unhealthy trees can be a threat because they are prone to falling during storms. While a fallen tree is the most obvious cause of roof damage from trees, it isn’t the only one. Branches may have scraped the roof before impact. Look for structural damage, missing and misshapen shingles, and shingles missing granules in the area the tree fell to determine if you need Passaic County roof repair. Generally Worn Out. Like most things around the home, roofs wear with time. Regularly inspecting the roof is important in prolonging its life. Once per year is good practice, but keep in mind that the faster you spot small problems and get the proper Passaic County roof repair, the less likely you’ll need major roof restoration outside of the standard roof replacement timeline. 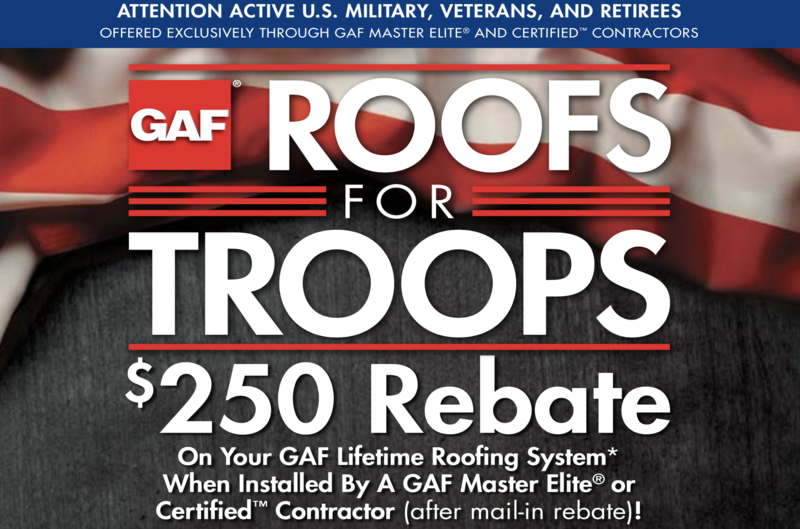 A quality roof can last around 20 – 25 years, if not longer, when properly maintained. Keep an eye out for cracked caulk or rust spots on the flashing, shingles that are buckling, curling, or blistering, as well as missing or broken shingles. All of these occur with time and weather and are early signs of the roof showing its age. Bad Installation. Faulty installation increases the likelihood of problems and reduces a roof’s life expectancy. Still, it’s difficult for the average homeowner to know whether a roof has been properly installed. Believe it or not, there have been cases of roofing contractors installing shingles upside down. This should be easy to see, as there are tabs on most shingles that should be facing down. However, since most other signs of improper installation may be difficult to spot, it’s best to look in the attic or under the roof to see if there’s any sign of leakage or moisture buildup. Looking for the Best Passaic County Roof Repair Service? For the best roofing services in the area, contact Deegan Roofing! Deegan has been in business fixing, installing, and repairing gutters & roofs for over 25 years! They are the number one trusted source for roof repair services in Passaic County, NJ as well as many other towns throughout the state of New Jersey. Call today at 908-322-6405 or visit the website.